Zoiks! Online - The Very Best in Stand-Up And Music! 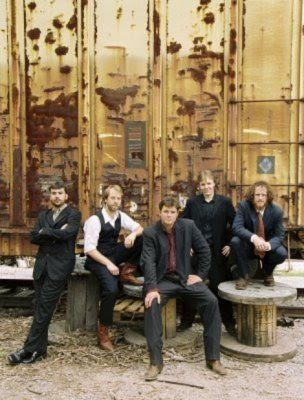 : An Interview with Steve Martin's Back-up Band the Steep Canyon Rangers. An Interview with Steve Martin's Back-up Band the Steep Canyon Rangers. Tweet The Steep Canyon Rangers have just embarked on a tour with the wildest, craziest guy ever - Steve Martin. Martin, who is best known for his stand-up comedy and super great movies like "Roxanne," "The Jerk," and "Three Amigos," has taken the Rangers on the road to promote his new album, "Rare Bird Alert." I recently sat down with Woody Platt of Steep Canyon Rangers to talk about the tour, Steve Martin, and what it is like working with the legendary comedian. Read the rest of the interview here: An Interview with Steve Martin's Back-up Band the Steep Canyon Rangers.